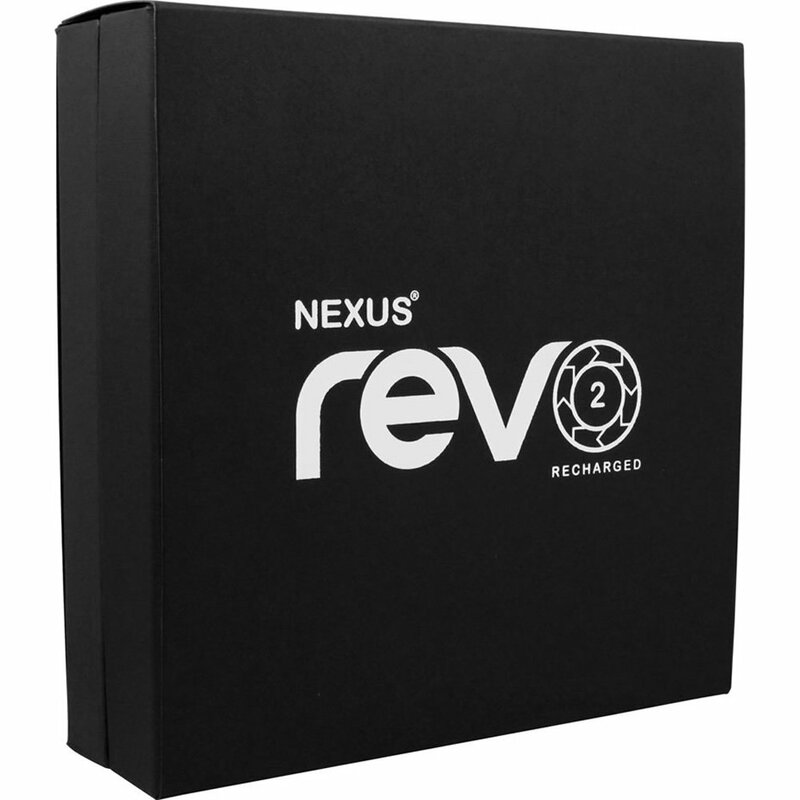 (he Nexus Revo 2 is the next step in male pleasure technology, created to enable the user to reach new heights of orgasmic bliss through the power of prostate massage. Utilizing innovative mechanics, the rechargeable Revo 2 features unparalleled functionality combined with a sleek design. The Revo 2 features an independently moving head which rotates inside the body to give a deep, thorough massage straight to the prostate. A powerful vibrating external arm adds another dimension of sensation with its variable stimulation settings. The ultimate in male G- Spot satisfaction, the Nexus Revo 2 will take you to new heights of experience. The Revo 2 is fully rechargeable, with over 4 hours of play with every charge. Each toy comes with a unique charging pad and universal USB cable which allows the user to charge their Revo 2 from their PC or Mac.